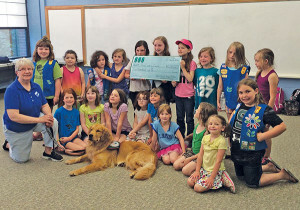 Local Girl Scouts help Paws with a Cause. 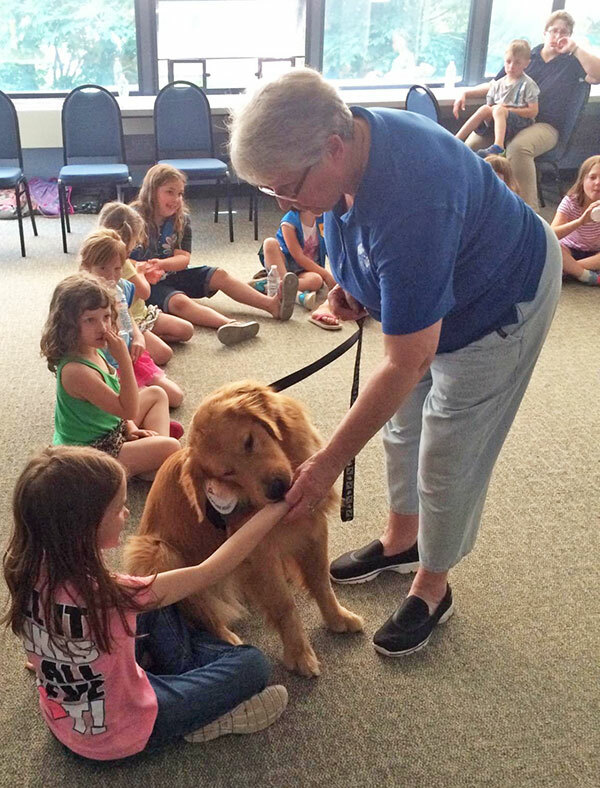 The local Girl Scout troop 4482 recently had a visit from Paws with a Cause. They met Casey, a golden retriever, and Casey’s trainer, Sandee, talked to the girls about the program and all the benefits of the program for those who are in need of a Paws Dog. 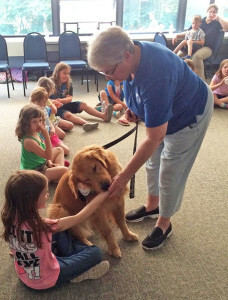 The girls asked lots of questions and got lots of answers, including how much it costs to raise a Paws dog—$30,000! At the end of all the questions, Casey was happy to let the girls pet him. Then the troop presented a check to Casey and Sandee, donating a percentage of their hard earned cookie money to Paws with a Cause.